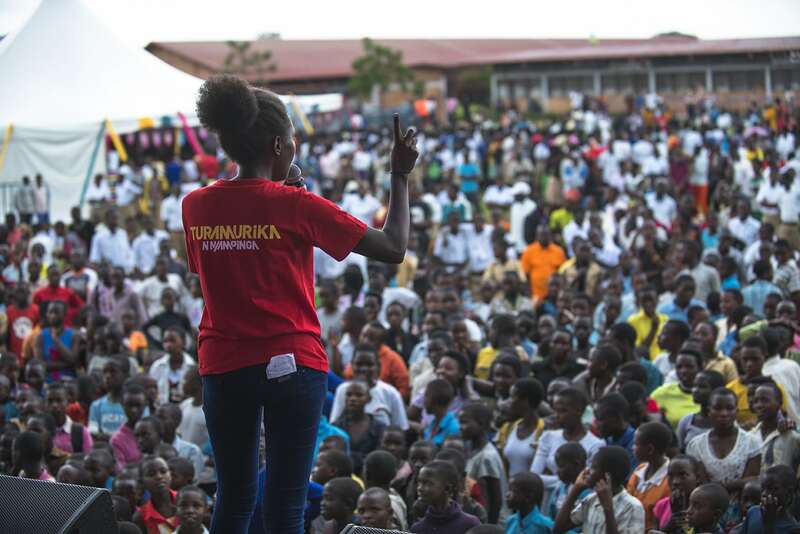 Back in 2011 in Rwanda, 16 years after the genocide against the Tutsi sent shock waves across the world, creative development nonprofit Girl Effect launched youth media brand Ni Nyampinga. The country was getting back on its feet, but still suffered from a multitude of problems. As its name suggests, Girl Effect was founded on the principle that the common thread to many of the most pressing problems of countries in the developing world was the role of girls – and that empowering, educating and building the capacity of girls was a surefire way to make progress. 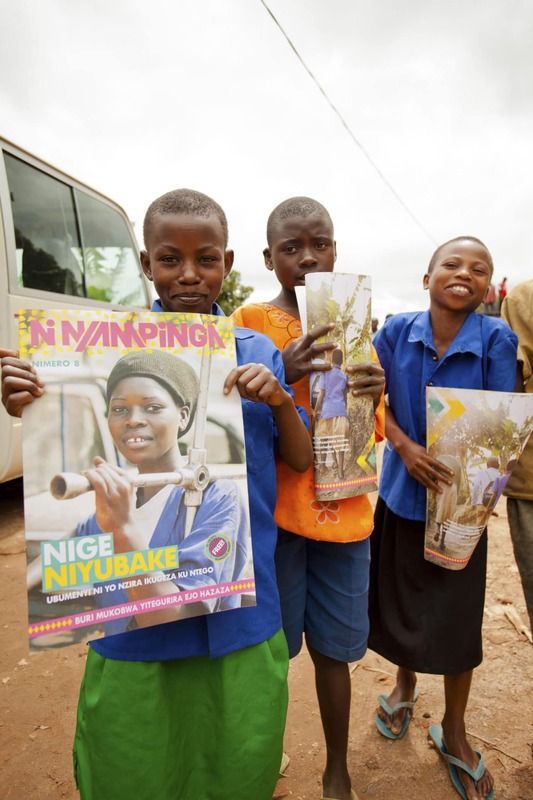 Ni Nyampinga means ‘a beautiful girl inside and out who makes wise decisions’. 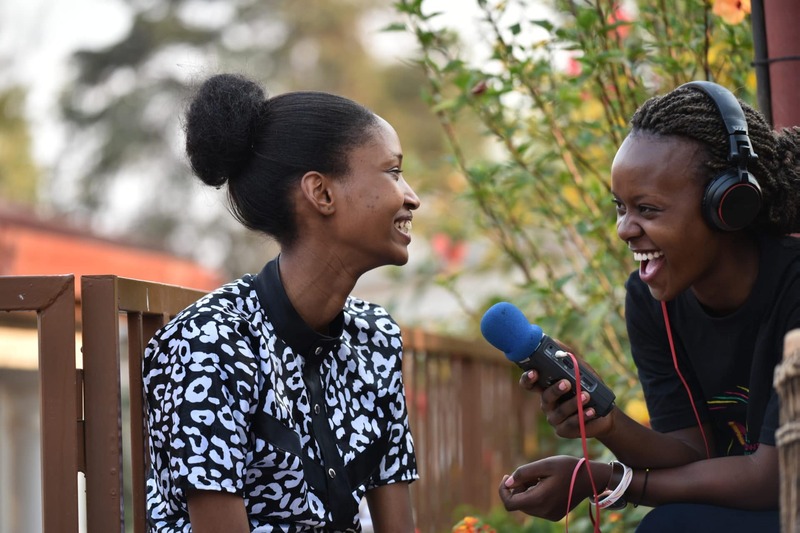 What made Girl Effect different from other NGOs wan’t just that its foundational principle was to ensure that Ni Nyampinga’s magazine, radio shows, platform and all media were designed, built and run by its core audience, Rwandan girls, from the very start – but also its very origins. As a spin out project of the Nike Foundation, Girl Effect had been born of a commercial world that understands how huge an impact brands can have on self image and societal culture, and the power of media and communications. However, when it comes to building self esteem and confidence in young people, brands aren’t always seen as a universally positive force. So the question was, if rooted in more positive, socially minded values, can brands be more powerful tools? Clearly the role of girls, and their beliefs and self image were a key issue for Rwanda in 2011. At this point only 5.4% of women aged 20-24 had attended secondary school, while half of teenage girls thought it was OK for a man to beat his wife. It was from this analysis that Ni Nyampinga was born, starting with a quarterly magazine, and weekly radio show. 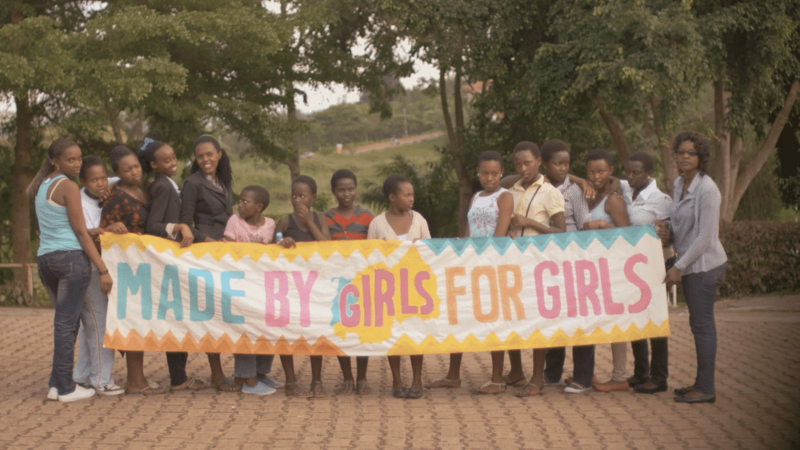 Rwandan girls designed and chose the visual identity and the type of media to launch the project with. The name ‘Ni Nyampinga ‘ was chosen as positive term that could be owned and embodied, creating a new aspirational identity for female teens. What’s more, readers across the country were encouraged to form clubs where they could discuss the contents of the magazine and radio show, and take forward the issues in their own ways. The activities and creative output of these clubs often go on to be featured in Ni Nyampinga media themselves. As the project has developed, these elements have knitted together, allowing girls to operate at every level of the organisation. On the organisation’s fifth birthday, they asked their audience which stories had most inspired them in the previous five years. One story of a girl called Laurence, who was a member of her local youth parliament event kept coming up, so they visited her and told her about how she had inspired so many people. As a result she applied to join the organisation, and now works as one journalists, writing stories of even more female role models. 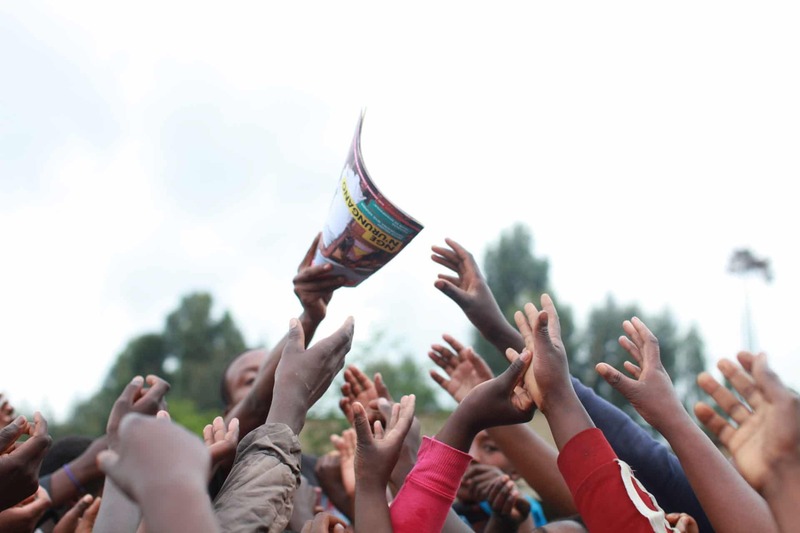 The statistics tell a story of the project’s success in Rwanda. In their 2016 survey, 79% of over-10s (6.6 million people) had heard of it, making it one of the best known brands in the country. Moreover just over half of them are active consumers of one of Ni Nyampinga’s key ‘products’ – the radio show, magazine, mobile site or club. This has had a tangible positive impact on their behaviour and beliefs. Girls who are regular consumers of Ni Nyampinga have more than 60% higher levels of reported self-confidence, which translates into an enhanced ability to discuss important issues in their lives, more positive attitudes towards gender equality, and a greater role in leadership and decision making. Given the numbers involved, this could have a seismic impact on the future of girls in Rwandan society, and on the future of the country as a whole. Although Rwanda was in many ways a unique and fertile ground for such work at its inception, with relatively little established mass brands or media, there is still a great deal to learn for other settings. Using brands, media and communications, not only for limited ‘behaviour change’ campaigns but through the construction of ongoing multi-channel media entities, is a radical alternative to traditional ‘development’ work. This approach engages with culture and advocates in the strongest possible way for pro-social values. Its success shows that when by leveraging the insight and knowledge of audiences as part of the process, the results can be dramatic. Girl Effect has already started to work on similar schemes in Ethiopia and Malawi, and is beginning to see equally positive results. Ni Nyampinga, and the teenage girls of Rwanda who made it happen, may well be looked back on as pioneers in a more positive future. AtlasAction: The most effective way to create change is to collaborate with like-minded people – from philanthropists and grant making institutions, to development partners, commercial affiliations and champions. Partner with Girl Effect. Daniel Stanley is a communications specialist, writer, and co-founder of Cohere Partners, a consultancy helping brands innovate & communicate in a values-driven age. Tags: Activism, Africa, Awareness raising, Communication, Community, Culture, CultureFutures, Education, Empowerment, Girls, Identity, Information, Media, Platform, Women, Youth.